I have now (2017) found that the issues for Tanzania printed by Holders Press Security have been reproduced without authorization numerous times. 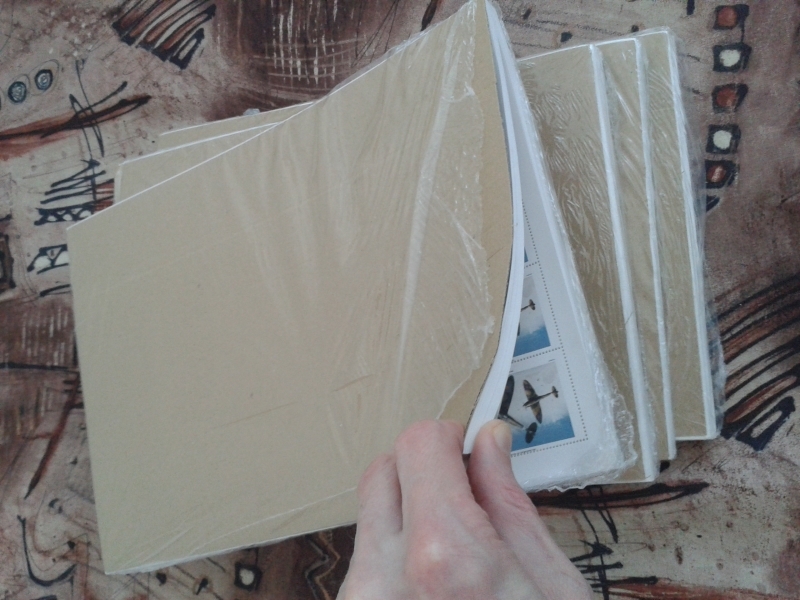 I just received a number of eBay lots purchased from the Latvian seller armi777 which in turn have proven to all be either unauthorized reprints or fake reproductions. 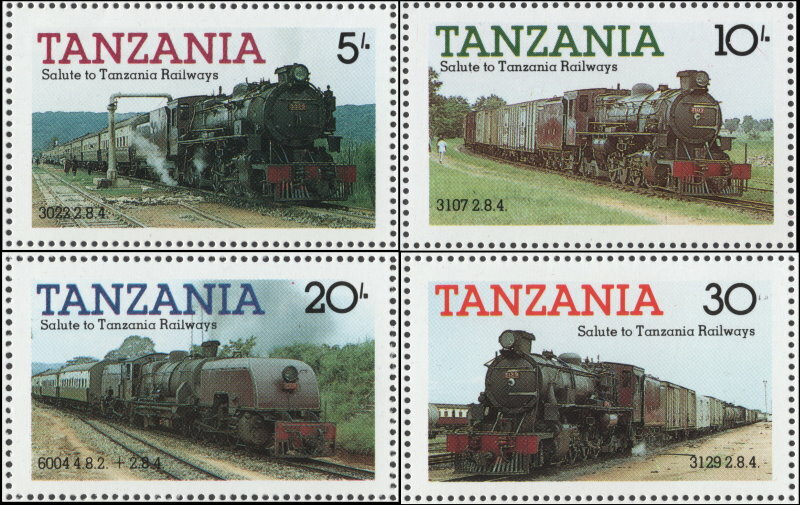 One set I became curious about is the Tanzania 1985 Trains. I purchased and received sheetlets of 8 of all four values. I have purchased numerous Tanzania lots from this seller in the past. The past purchases have now also proven to be reprints and/or fake reproductions. This includes imperforates, color proofs, specimen overprinted and "errors" of the Trains, Cars, 85th Birthday, 60th Birthday and 1986 Royal Wedding issues. I am certain the Chess issue and any other issue printed by Holders Press for Tanzania I did not purchase from this seller have been as well. I decided to pull out an original press sheet from my	press sheet collections and found the sheetlets to be entirely different. These press sheets I received from Avion Stamps in trade for some of my Bileski stock around 2011. Here is an image of what I received for a dollar! It has been documented that Mr. Clive Feigenbaum was the overseer of the printing of these stamp issues. Research is ongoing with his connections to the printing company. Archived financial documents on the company will tell us more when I get them. The type of paper and gum type on many of the above mentioned reproductions match exactly with the Saint Vincent 1985 Michael Jackson unauthorized reprints and the many other unauthorized reprints I have discovered he had produced in the mid 1990's. Those as well are when most of the varieties and "errors" were created. I now have everything together to present to you how to detect them and not get ripped off as so many have over the past 3 years and longer!! When I received the lot I saw that one of the sheetlets has different gum than the others! This shows evidence of multiple printings. Both types of gum are completely different from the genuine stamps gum. This once again shows how the seller of these reproductions does not even care or take notice that there is anything wrong with the stamps he is pawning off to unsuspecting collectors and dealers. Gum Comparison of a both types on Fake Stamps with Original Proof from press sheet. For these it appears on three sheetlets they used PVA because of the greenish tint. The fourth sheetlet has white gum completely differing from the others. It has been noted that other British issues like some of the Machin issues have this type of gum. The problem is it was not used until the late 90's! This is evidence showing later creation long after the printing company was gone. I note that the sheetlets with greenish tint gum have very shoddy perforation holes as you can see. So does the white gum one. This is because of the cheap thin paper used. The greenish gummed reproductions match the 1990's unauthorized reprints. The white gummed reproduction matches the modern day fake reproductions. This is evidence that this reproducing (reprinting) has been going on for a long time and is still ongoing until the producer and sellers are exposed. it should be quite obvious who that producer is. 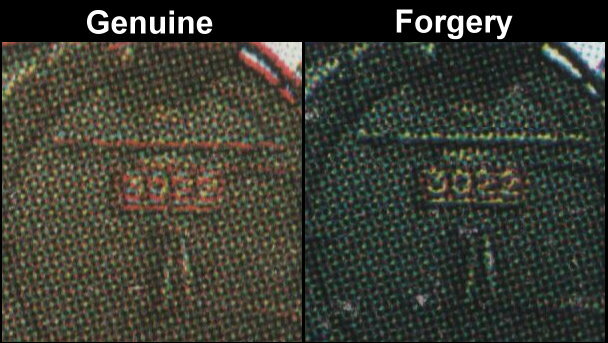 I use the 5L locomotive stamp for high resolution comparisons. I used 1200dpi scans for this image. This comparison shows you that the screens used on the reproductions are the same as the originals. I compare the front of the engine. You can see that the screens used are the same type. You can see though, the colors are dramatically different. The forgeries still are very dangerous because when imaged for sale by sellers they look almost exactly the same as the originals. Buyers will think it is just the sellers scanner making them look "different". The paper is whiter than the paper used on genuine stamps. Now I will place images of the stamps side by side so you can see the color differences. 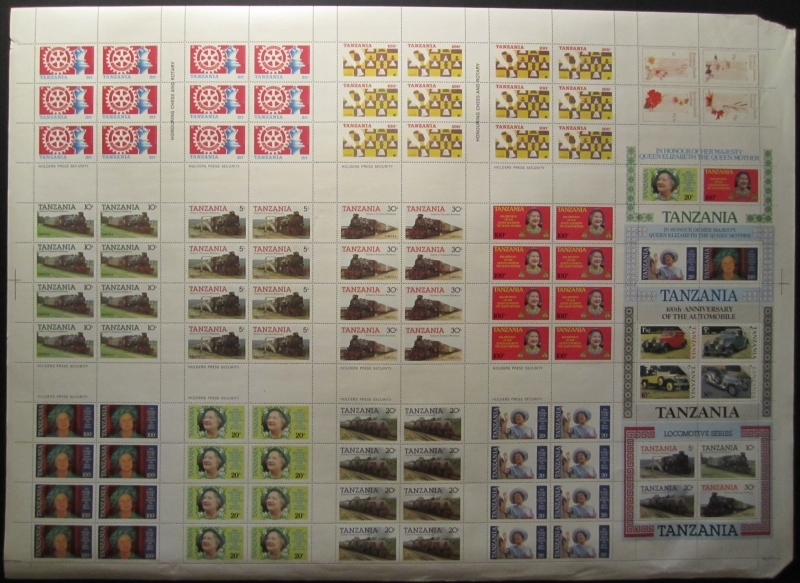 The imaged genuine stamps are from an original press sheet. The original has greener shades. With the 20L value you can see an extreme difference in colors. So now you can see that there is a lot of differences between the genuine issued stamps and these fake reproductions. 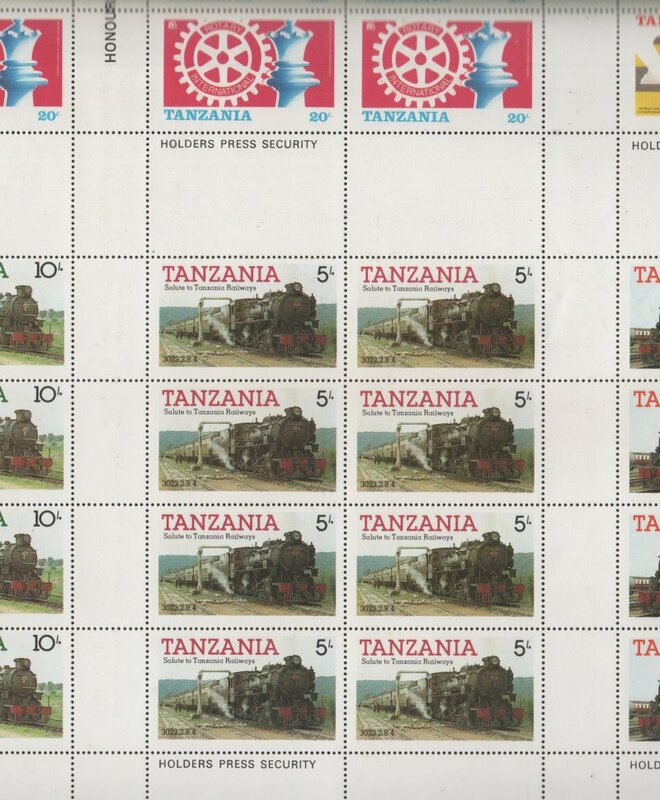 Here is an image of the Tanzania 1985 Locomotives 5L stamp sheetlet from the original printing still in the original printing form on a press sheet. Note the perforations at the bottom selvage of the sheetlet. Now here is an image of a forged 5L stamp sheetlet of the same stamp. Look at the bottom selvage of the fake stamp sheetlet. You can see the perforations run through the selvage on the genuine sheetlet at the bottom. There are no perforations on the bottom selvage of the fake sheetlets! 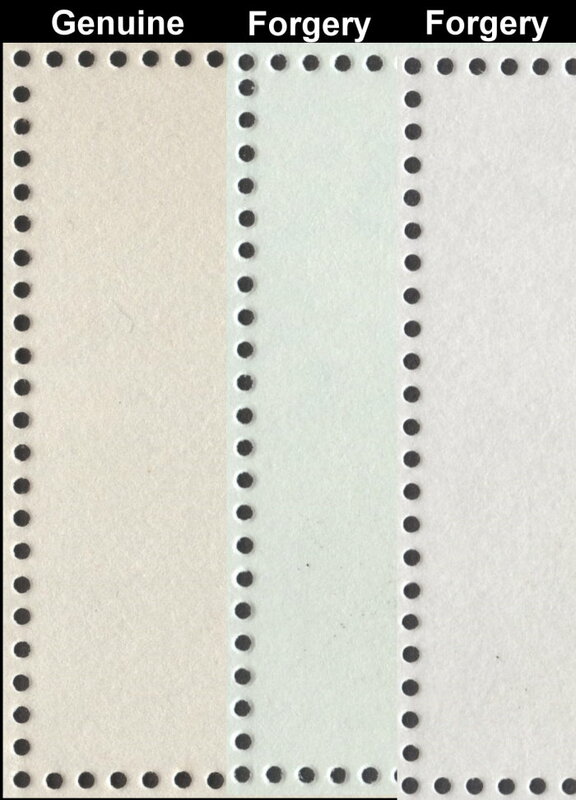 The placement of the sheetlets on the press sheets made it where only the 20L value has no perforations on the bottom selvage because it is located on the edge of the press sheet. The other 3 values are located on the interior portions of the press sheet where all the selvage around them is perforated. Another blundering error by these lazy forgers. Also note the placement of the printer logo. Genuine sheetlets of the 5L have the logo at the bottom. Fake reproductions and unauthorized reprints of the 5L have the logo at the top! You can therefore see by simply doing a small little research project yourself looking on eBay that over 75% of the stamps offered for these issues are either unauthorized reprints or fake reproductions. You will also see who the major movers of these fakes are. These sellers have managed to destroy legitimate sales of the genuine stamps by flooding the market with these forgeries. It is time to expose these people and the unethical, despicable and immoral acts they do! Because of the fact that a major portion of leaders in the stamp community wish to turn a blind eye on these forgeries. Because of dealers and buyers who are afraid to "step up to the plate" because of fear of being ridiculed by self proclaimed "experts" or because they don't want to get involved, the forgers will continue to forge more and more sets. They have already effected other issues that have nothing to do with Leaders of the World issues such as Nauru 1982 Scouts, Barbuda 1983 Manned Flight and now these showing us the wide range of stamps	they are capable of forging and possibly have already forged. Soon you will be the victim when you buy that fake high valued Orchid stamp or that high priced definitive set you have dreamed of getting or what you thought to be a genuine error or variety which in the end only turns out to be fabricated by these forgers and nobody wants it when you go to sell it or your children go to sell it. Indeed several issues that I have researched and obtained the original varieties of are effected. 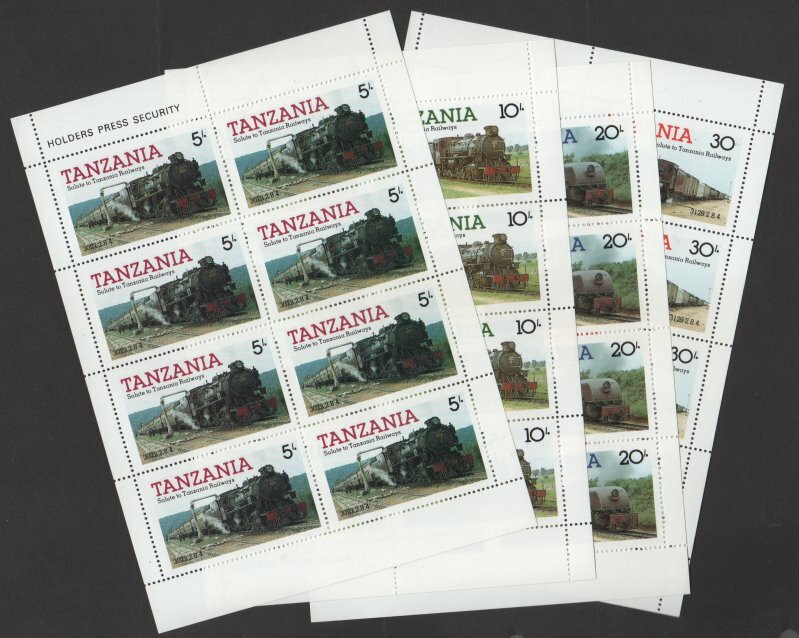 These Tanzania stamps do not effect me because I only own several of the original press sheets and a couple examples of varieties and that is all. I am a professional tradesman and have never depended on stamps to live on. There are many that do depend on stamp sales though and it is for them also that I have created this section of the website. 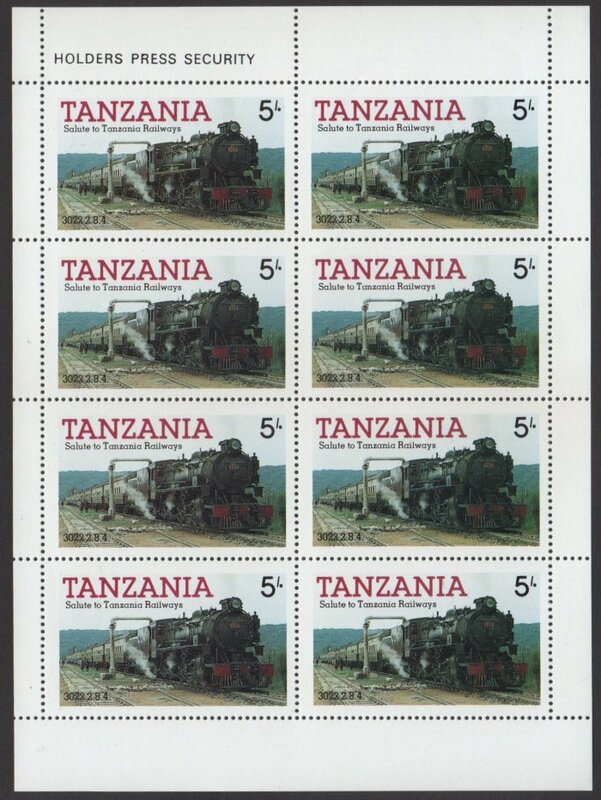 You can now define the fake Tanzania 1985 1st series Locomotives stamps easily and can now possibly avoid being ripped off! Sorry to say this, a lot of you already have been fooled since at least 2014 and more of you will be until the right people get serious about it!